A charismatic resident of Carbondale does it all: mountain biking, skiing, cyclocross racing. His live-life-to-the-fullest attitude at the age of 82 inspired a documentary. If you ever find yourself exploring the mountains around Aspen and hear a voice singing “Pourtant que la montagne est belle,” it’s most likely coming from Jacques Houot. "They call me Frenchy. I’m 41 years old on each leg. That equals 82," Houot said in his thick French accent. 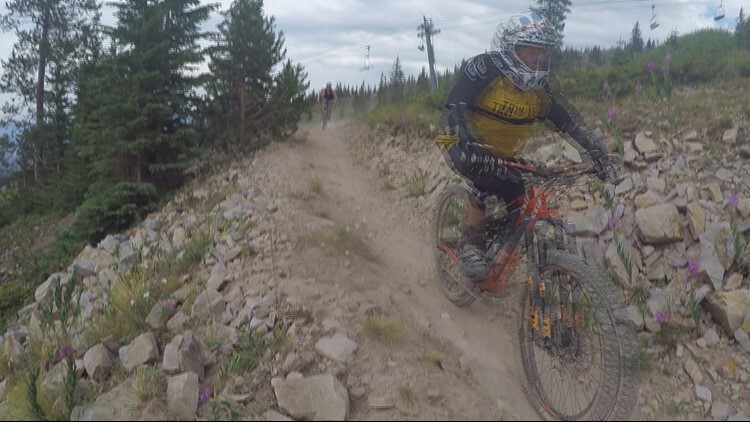 The 82-year-old is taking a quick break during a day of downhill mountain biking at Snowmass. Houot was born in France in 1935. He grew up there and endured World War II as a child. He bounced around Europe as a young man before winding up in Aspen in the 1970s. Since then, he’s been taking advantage of every excuse to adventure in the mountains that he can find. "Over there is Sopris. I’ve skied that one,” Houot said while sitting atop Snowmass and pointing at surrounding peaks, recalling his adventures. "Over there is Maroon Bell; I’ve skied that one. Behind is Castle Peak which I’ve skied. I ski a lot of mountains,” Houot said. Mountain biking. Skiing. Cyclocross racing. Houot does it all. It was at a cyclocross race in Carbondale that he met local film maker Michelle Smith. Smith spent the next year and a half filming Houot. She shot him biking, skiing, paragliding, getting stuck in a log, getting kisses after races, and hanging upside down to help his back. She also got Houot to explain his 23 close calls with death. He had to beat his chest while having a heart attack to stay alive. He nearly drowned after accidentally driving his car off a bridge in France. He got a gun pulled on him, but when the trigger was pulled nothing happened. Those are just a few of Houot's close encounters to death. Smith compiled all the adventures and stories into a film, "The Frenchy." The pair have been showing the film at festivals in Colorado all year. The two talked about what the project means to them after a July 24 screening at 5Point Film Festivals Night of Stoke in Denver. Smith had personal reasons for telling Houot's story. 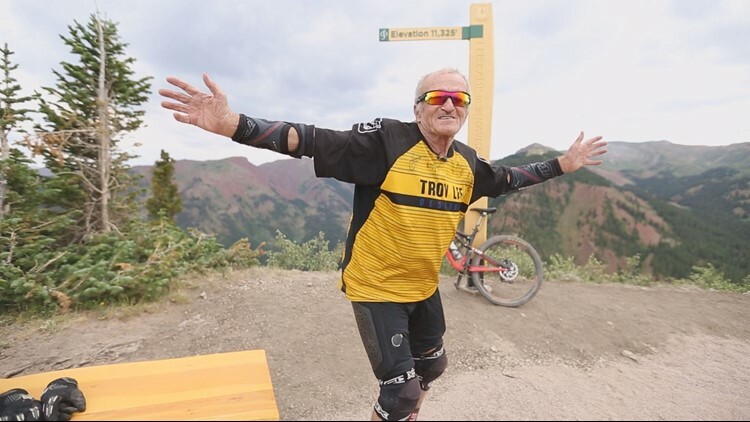 As the old man and the film maker chased one another on bikes down the slopes of Snowmass, it was obvious the two are good friends. Houot said motivating people couldn't make him happier.